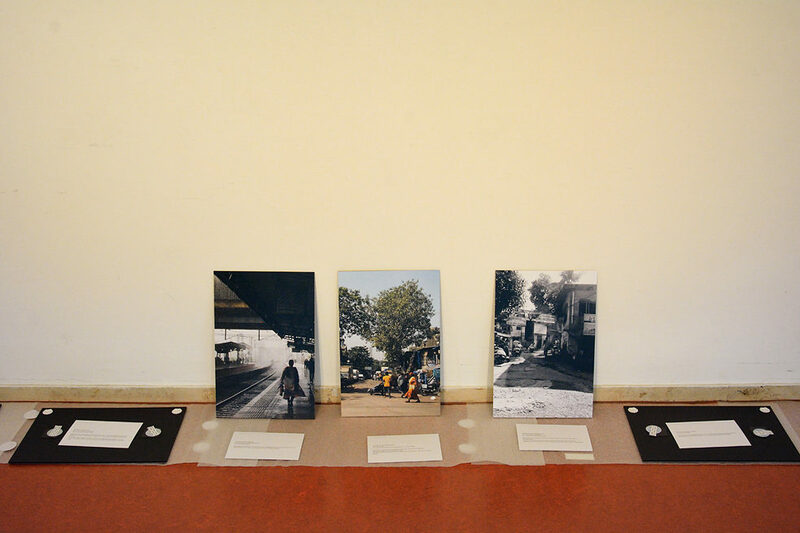 The exhibition, ‘Views of a City: Mumbai’, is the culmination of a six-month intercultural project implemented by the Goethe-Institut / Max Mueller Bhavan Mumbai. It celebrates 10 years of the ‘Schools: Partners for the Future’ initiative, as well as the 50-year anniversary of the partnership between the cities of Mumbai and Stuttgart. For some, to turn 50 is the magical threshold that is crossed into old age. For a city partnership, however, it is more like a golden wedding anniversary, a promise that is repeated. The partnership between Mumbai and Stuttgart is one such relationship. Established in 1968, as one of the first between an Indian and a German city, the partnership has since produced several collaborations, events and friendships. Even if, at first glance, the two cities could not be more different – one, a large city surrounded by green space, the other, a genuine megacity by the sea – there are some characteristics that typify the two cities. Both are drivers of economic growth, both are home to a film industry, and both are proud of their research and education centres. This explains why the student exchange has proved to be particularly fruitful in the past. And thus it comes as no surprise that the idea of the Goethe-Institut / Max Mueller Bhavan Mumbai to organise a photography course on the special features of the two cities met with a very enthusiastic response. 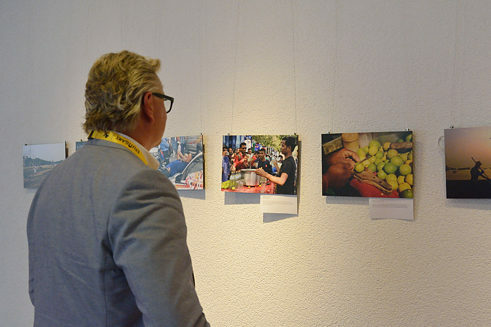 The results of the intercultural project are now on display at the Stuttgart Town Hall. Titled ‘Views of a City: Mumbai’, the exhibition is a collection of the photographs that emerged from the project, with accompanying text. In August last year, the institute had invited students between the ages of 14 and 17 from both cities to the project. In Mumbai, 15 students took part. They came from seven schools and were all learning German. The focal points of the project were intercultural exchange and shifting perspectives. And handling a camera with confidence. The young photographers also had to be part of the process of ‘learning to see’ and gathering experience. With this in mind, the initiators placed the focus on the face of the respective city. How do you convey the image to people living in a completely different culture? That was the key question. 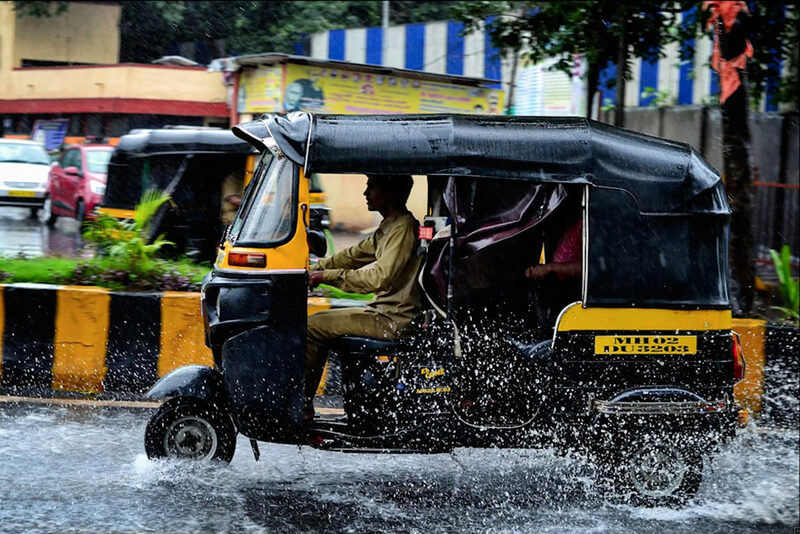 “Sudden monsoon showers cause a hustle amongst Mumbai’s rickshaw drivers. I clicked this photo because people in Mumbai love the rains.” | © Dhruv Bangera The students accompanied by an Indian and a German workshop leader on only four weekends. They learned to see their city with different eyes and divided their views into different categories such as transport, markets, people. One of the tasks was to look for unique features. The youngsters chose their own motives while the final selection for the display was a joint effort. Indian karma in the heart of the Swabian city? Heavy downpours and thunderstorms over the city that has turned into a cauldron. Normal for Mumbai, Stuttgart’s partner city. It didn’t seem to bother Beata Weber, head of the language department at the Goethe-Institut in Mumbai. ‘The monsoon has just arrived here and will stop only after three or four months,’ she says during the opening on 3 July 2018. Beata Weber during the opening of the exhibition at the Stuttgart Town Hall. 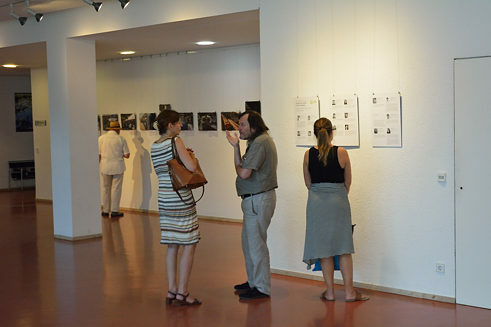 Guests discussing the images of the students. A foreign world: A visitor thoughtful infront of the pictures. 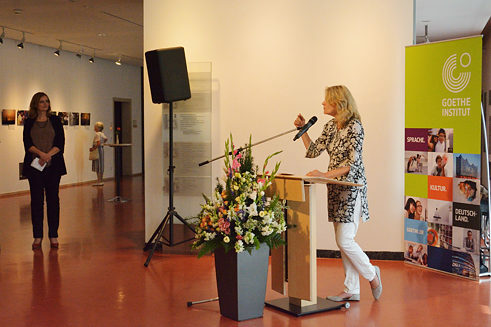 Together with Isabel Fezer, the mayor of Stuttgart, Beata Weber inaugurated the exhibition. Coinciding with one of the games at the FIFA World Cup, one would have wished for a few more visitors at the opening because the extremely professional photographs provide rare insights into what can be an exotic world. Jochen Weber was responsible for professional support for the project. ‘It was impressive to see how the eye changed in the course of the project. Initially the students would still photograph everyday objects found in their immediate environment. Until they understood to choose the motives that truly represented their country,’ says Jochen Weber. No picture without caption: the photographers had to find them themselves. | © Jochen Weber The photographs are accompanied by texts composed by the students themselves. That was one of the aims right from the outset. After all, teaching German is one of the Goethe-Institute’s primary objectives. Therefore, the photographers had to find captions for the pictures themselves. The accompanying text – about themselves and their experiences during the project – was also written by them. This is what allows visitors to the exhibition to gain an insight into the other culture and what lends it its special charm. And the German side? In Stuttgart, the Eberhard-Ludwigs-Gymnasium agreed to participate in the project with a class of students of the same age as the students in Mumbai. It has a partner school in Mumbai and regularly organises a student exchange. 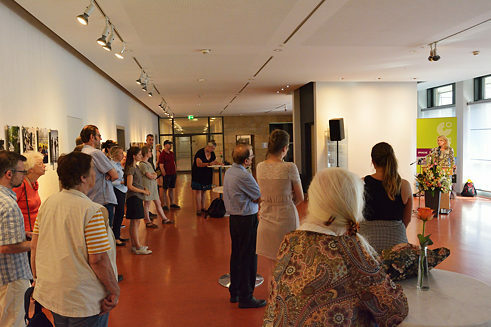 But the youngsters from Swabia need time before ‘Views of a City: Stuttgart’ is complete and can also be shown in Mumbai. Results that meet their expectations and high standards are expected early next year. The bar has been set high. Viola Eigenbrodt is a German journalist and author. She lives in Stuttgart and conducts writing workshops for adults and fairytale telling workshops for children.